The hillsides facing the sun in Jullié are planted with black Gamay à Jus Blanc grapes. A part are reserved for the label of origin, Cru Juliénas, and another for Beaujolais-Jullié (Beaujolais Villages). The grapes are hand harvested. The composition of the soil is granitic which allows this kind of grape to produce wines which are fruity and robust, well suited to aging, with a deep ruby red color. To taste these nectars, the Caveau des Viticulteurs is open on Sunday afternoons from March to November or by appointment. The wine growers also enjoy taking visitors on visits to their own wine cellars. Wine tasting Beaujolais-Villages, Rouge, Rosé, Blanc, Juliénas. 6 hectares of vineyards. 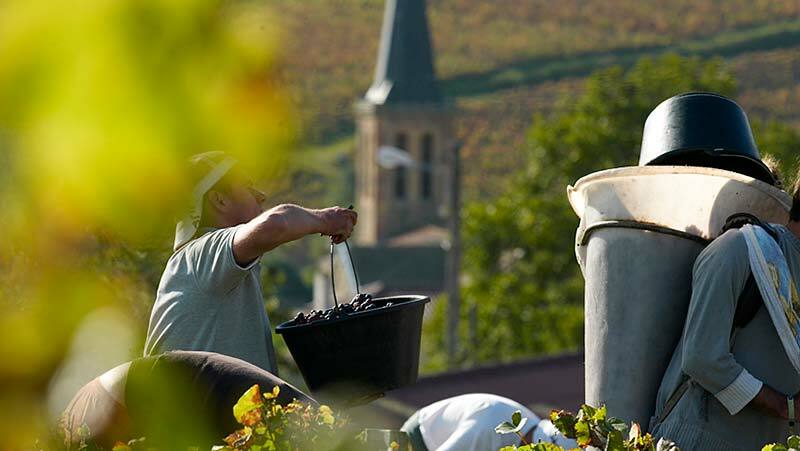 Production of Beaujolais and Beaujolais-Villages white, rosé, red, Juliénas et Moulin à Vent. Juliénas, Saint-Amour, Moulin à Vent. The wine-makers cellar of Juliénas welcomes you to visit the Château du Bois de la Salle which dates from the XVIth century, in a unique setting. Our store is open every day from 9h to 12h and from 14h to 18h.